Green tea is a common Asian drink that has picked up popularity throughout North America. 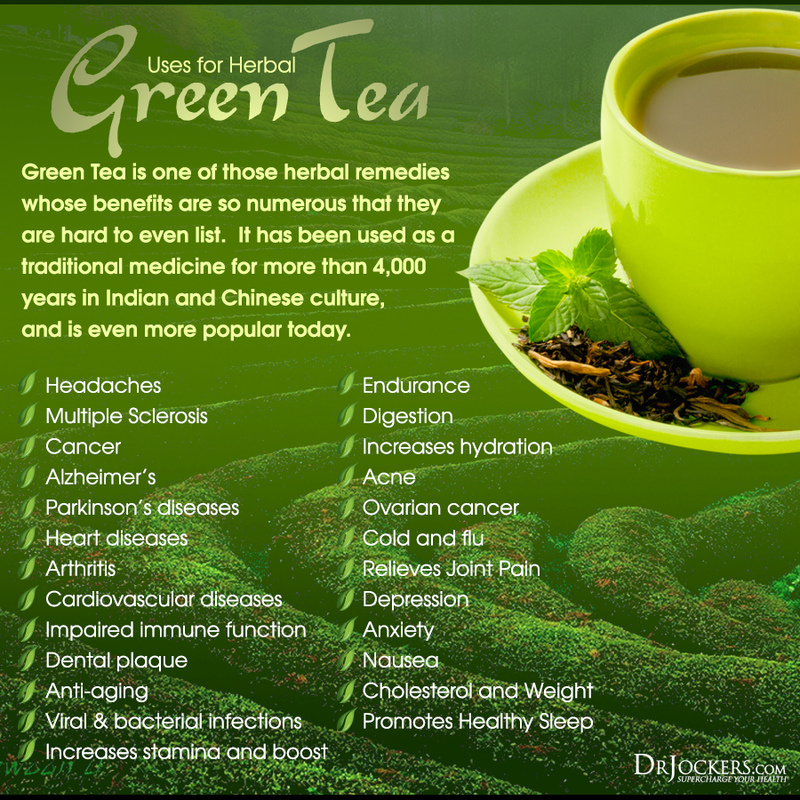 As a trendy drink many are searching out green tea as a healthy alternative to coffee and other warm drinks. Research has shown that green tea is rich in polyphenol anti-oxidants that have extraordinary health benefits. Green, black and oolong tea are all part of the same species called Camellia sinensis. Local growing conditions create variability and a multitude of distinctive leaves. The processing of the leaves plays the biggest role in the creation of the three types of teas. The length of time they are processed dictates the color, taste and nutrient content of the different varieties of tea. Green tea is the least processed of the three and contains the highest ORAC (Oxygen Radical Absorbency Capacity) of the three teas. Green tea is rich in the polyphenol anti-oxidant catechin called epigallocatechin-3-gallate (EGCG). This anti-oxidant is thought by most to be responsible for the health benefits linked to green tea consumption. ECGC is considered to be one hundred times more potent than vitamin C and twenty-four times stronger than vitamin E. The powerful ability to scavenge free radicals makes green tea one of the best anti-aging herbs. ECGC is one of a handful of unique anti-oxidants that has shown an ability to influence mutant DNA formations to potential reverse chronic disease states (1, 2). A September 2006 study in the Journal of American Medical Association showed that drinking green tea lowers the risk of mortality from all causes including cardiovascular disease (CVD). This was an eleven year study following 40,530 adults ranging in age from 40-79 in the northeastern region of Japan. 80% of this population drinks green tea and over half consume at least three cups per day (3). Those who drank five or more cups a day had a significantly lower risk of death from all causes than those who drank less than one cup of green tea daily. Men had a 12% lower risk of mortality, 22% lower risk of dying from CVD and 42% lower risk of dying from stroke. Women had a 23% lower mortality rate and 31% lower risk of dying from CVD and 62% lower risk of dying from stroke. A metanalysis of thirteen studies that was published in Carcinogenesis July 2006 demonstrated that women who drink green tea have a 22% lower risk of developing breast cancer than women who do not drink green tea (4). A study published in December 2004 in Cancer Research discussed how ECGC in green tea was able to decrease insulin-like growth factor-1 (IGF-1) while increasing levels of IGF binding protein-3, which binds IGF-1. This reduces the risk of breast, colon, prostate & lung cancer. It also inhibits key cancer survival proteins and reduces the expression of compounds associated with cancer metastasis (5). A study published in Cancer Research in March 2005 showed that ECGC inhibits the enzyme dihydrofolate reductase (DHFR) which cancer cells need in order to grow. In fact, DHFR is a common target of many expensive and toxic cancer drugs such as methotrexate. However, the ECGC does not bind as strongly as the methotrexate which means it isn’t quite as powerful but it also does not have a negative effect on the normal cells like methotrexate does (6). A November 2005 issue of Antiviral Research demonstrated how EGCG inhibits the flu virus from replicating in a cell culture. Scientists found that it blocks the hemagglutinin enzyme in the virus which inhibits its ability to infect other cells. It also suppresses viral RNA synthesis by altering key properties of the viral cell membrane (7). ECGC has been shown to suppress the pathogenic viruses such as Epstein Barr, herpes simplex, HIV-1 and the influenza virus (8, 9, 10, 11). 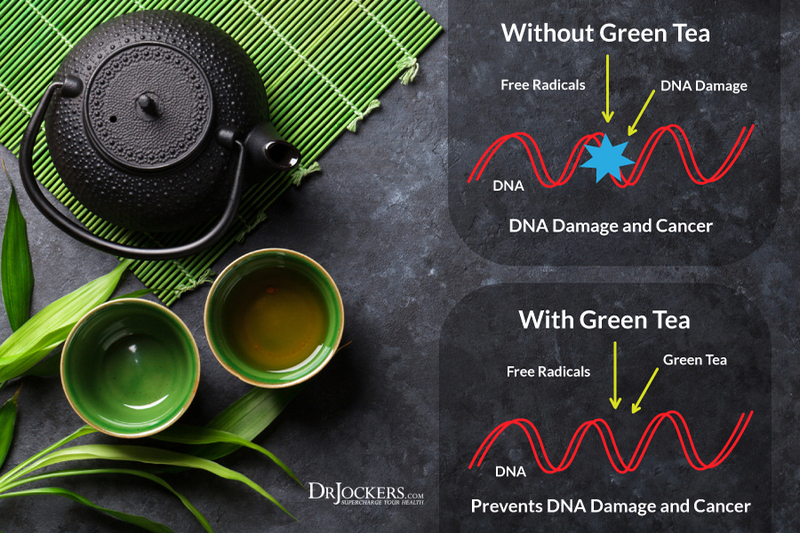 Green tea contains high levels of L-theanine which has been shown to activate human gamma-delta T lymphocytes to proliferate and make interferone gamma If-G. If-G is a potent antimicrobial cytokine that is the first line of defense in the blood stream against infection. What is the Best Type of Green Tea? It is always important to get organic green tea. This is because these plants can be highly sprayed with pesticides and herbicides so if you purchase a conventional variety, you may be risking your health with these toxic chemicals. Green tea contains caffeine but it is less than half of that found in coffee. The amount of caffeine found in green tea really varies depending upon the amount of tea used, the brand and the quality. The first infusion of green tea leaves is the highest quality and has the most amount of caffeine. It is extremely important to get organic green tea as the conventional may be highly sprayed with toxic pesticides and herbicides. Many coffee shops and big companies carry green tea that is commercially produced and contains an abundance of environmental toxins. This is not healthy and should be avoided. Pregnant women and newborns shouldn’t drink large amounts of green tea as its ability to bind to DHFR may increase the risk of folate deficiencies in the newborn and increase the risk of spina bifida or other neural tube disorders. How Much Green Tea Should I Consume? Most people thrive on green tea and can drink multiple glasses daily. One caveat is that you would want to avoid drinking heavy amounts in the late afternoon and evening due the caffeine. Even decaf can be stimulating and should be avoided later in the day. It is more beneficial in the morning or early afternoon. Some individuals do not do well with green tea. These individuals complain of nausea, joint pain, anxiety, irritability and headaches when they consume it. This may be due to the caffeine, but also may be due to an intolerance. 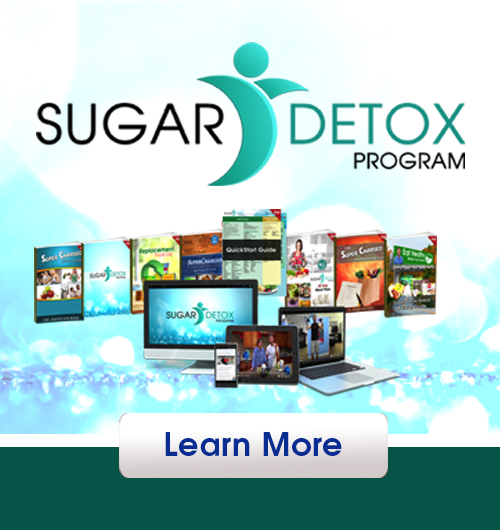 If you notice these sensations reduce or eliminate green tea and other caffeinated beverages from your diet for a week and then try it again and see if the symptoms return. You recommend that individuals with Th2 dominant conditions to do a supplement challenge where they intentionally see how their body responds to grape seed extract or Green Tea. Would Lymphedema be a condition that would affect Th2? Please advise me how I get a Th2 challenge test? My regular doctor is not familiar with this. Quite frankly, before reading this article I had so many misconceptions about green tea. That is of course over and above disliking the fact that it has absolutely no flavors at all. I might just get back to taking a cup a day just so I can reap the health benefits that drinking it brings along with it. I am most especially fascinated by the fact that it lowers the mortality rate. I had no prior knowledge of that before today. Thank you for the insight.